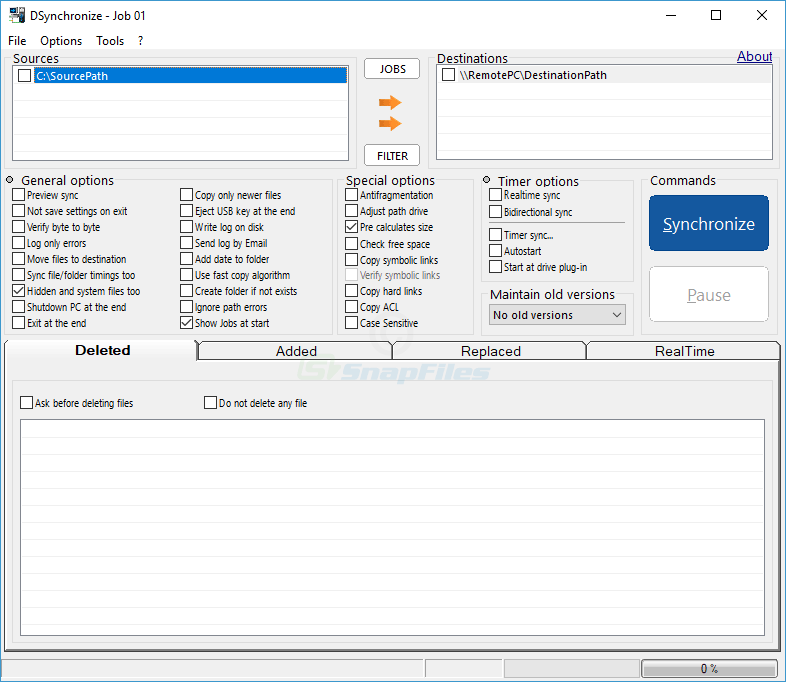 Looking for a free Sync Tool for Windows? You may consider testing the new Dsynchronize 2.38. It’s a free synchronization software for Windows that works very well in any scenario. With this tool, you can sync your folder to a local network, removable drive as well as to a DVD. Dsynchronize is very easy to use. Simply specify the source and the destination path, and you are ready to go. Dsynchronize supports multiple sync processes. You can add more than one folder to sync. During our tests, this sync software works very well and it can complete all tests without any problems. Dsynchronize is a good piece of software. We love the network support on this software. If you need cloud storage support, then this software is not for you. But if you still rely on your local devices, external hard drives, then Dsynchronize is a good option. Visit the publisher’s website to get more information about Dsynchronize.